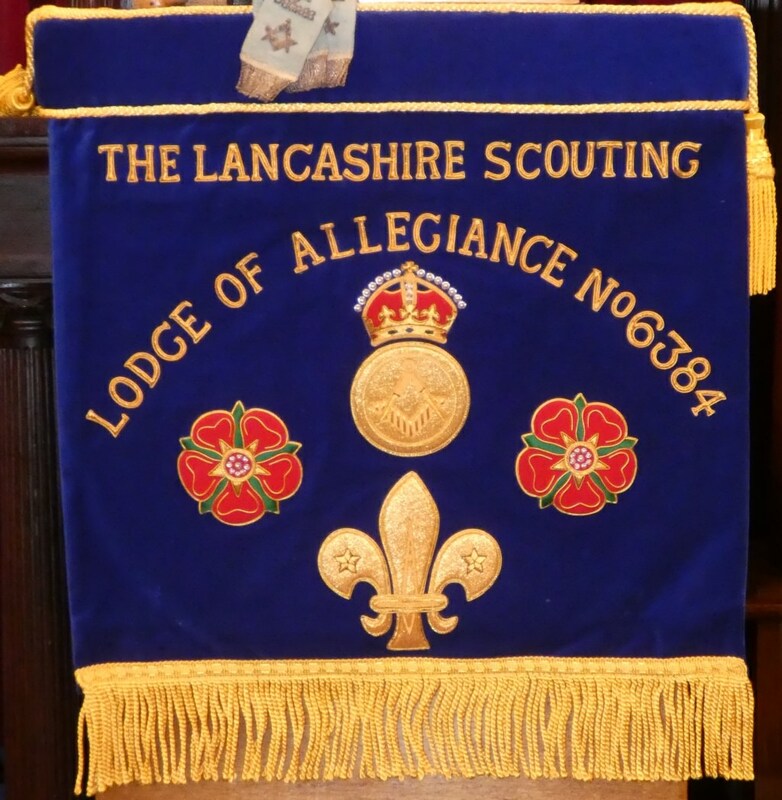 On Wednesday 23rdJanuary 2019, Thirty-two Brethren signed the Tylers Attendance Register when the Lancashire Scouting Lodge of Allegiance No. 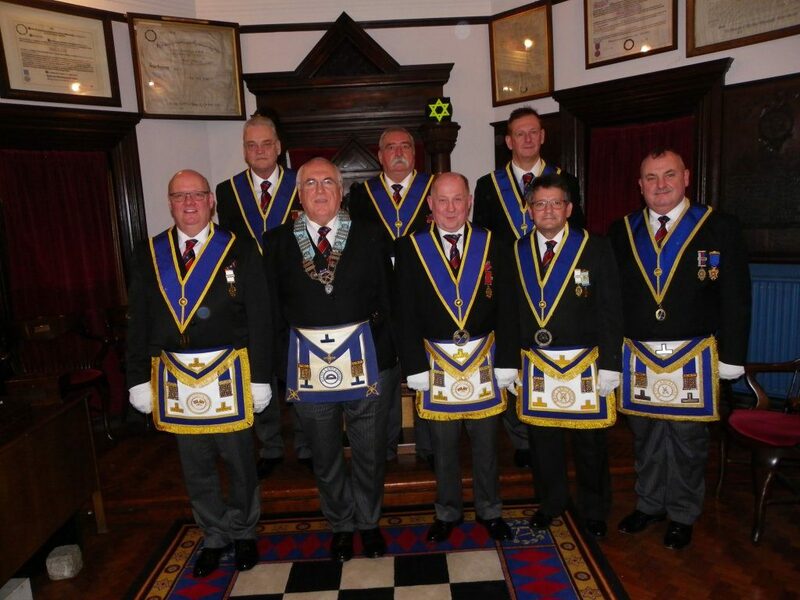 6384, held its first meeting in their new home at Whalley Masonic Hall. The Lodge room was almost at capacity with members from across the Burnley and Pendle District, in particular the Whalley Lodges, and a number of District Officers in attendance to support the Worshipful Master and Brethren of the Lodge. The Worshipful Master thanked all present for their support and the Lodge was then opened in due form by the Worshipful Master, WBro Ray Fitzsimmons, PProvGSuptWks. Salutations were given to WBro Derek N Thornhill, JP, PGSwdB, PDepPGM, who thanked the Brethren for their kindly salutations on behalf of himself and WBro Roger Flitcroft, MBE, PAGDC, both of whom are members of the Lodge. 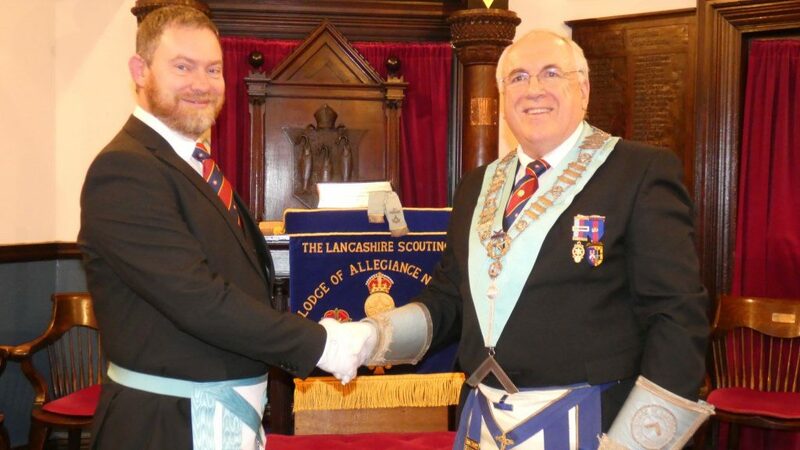 The Worshipful Master efficiently conducted the general business of the Lodge and then announced that the next item of business would be to raise Bro Simon Moorhouse to the Sublime Degree of a Master Mason. Following the excellent ceremony, Bro Moorhouse re-entered the Lodge and received an explanation of the further signs of the degree and an explanation of the Traditional history of the Third Degree, both of which were given in an excellent manner by WBro Flitcroft. Following the completion of the further business the Lodge was closed in peace and harmony and the members and visitors retired to the festive board. Again, the Festive Board was almost at capacity and all present were treated to fish and chips followed by cheese and biscuits, an excellent repast!. 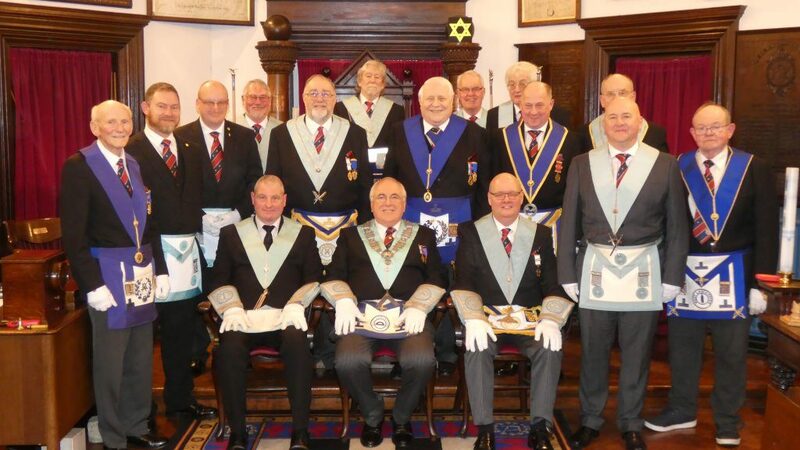 The usual toasts were duly honoured and the Worshipful Master again thanked all present for their support and particularly the members of Abbey Lodge 2529, for their welcome and support during the transfer to Whalley. Bro Moorhouse responded to the toast to himself and was presented with the “Master Masons Guide” by the Lodge Mentor, WBro David Thornton PProvSGW. The Lodge Secretary, WBro Chris Creelman JP PProvDepGDC, Bro Moorhouse’s Proposer, referred to Bro Moorhouse’s conduct in the Lodge and his excellent answers to the test questions reminding him there was “much more to learn”. He also presented Bro Moorhouse with a copy of the ritual embossed with the Scouting emblem.